Lekhetho Ntsukunyane is Founding partner and Journalist at MNN Centre for Investigative Journalism. He is 2016 First-Prize Investigative Journalism Award Winner – a first initiative by MISA – Lesotho and US Embassy – Maseru. Lekhetho holds a Diploma in Mass Communications from Institute of Extra Mural Studies (IEMS) (National University of Lesotho). Lekhetho joined Public Eye in October 2009. In August 2014, he left Public Eye and joined Africa Media Holdings (Lesotho Times and Sunday Express) where he contributed investigative stories and general news. Lekhetho further holds SARW Certificate on Reporting the Extractive Industries having successfully completed an intensive seven-day media training in Lusaka, Zambia in October 2012. 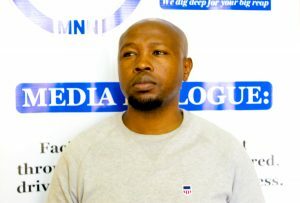 He also holds Investigative Journalism Certificate for attending the capacity building workshop for media professionalisation organised by the US Embassy and MISA Lesotho on November 2015.